I WAS one of those, and I should imagine one of many, boaters stopped last year by a broken swing bridge, writes Jeff Warne. I am of course referring to those clapped-out, often failing bridges on the canal where I have my moorings, the Leeds & Liverpool, that I am sure will come as no surprise to many, and even less surprise that it has started again though the season has only just commenced. 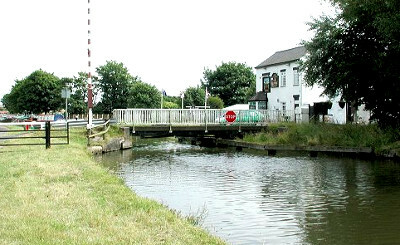 I have lost count of the times that the Crabtree Swing Bridge has given up the ghost, and in fact this is a standing joke on the canal many thinking it is not working more than it is working, and I always approach it with trepidation. It must have worked in the old days, as did all the others, so the reason so many are failing is clear to anyone, they need proper regular maintence, that they are obviously not getting. Or perhaps they are so worn out that some need replacing entirely. I can assure Canal & River Trust, whom I have to add, many, me included, do not trust, that there is little of its much trumpeted 'wellbeing' on the Leeds & Liverpool when stuck at a broken swing bridge.